This Gears! Super Set is a fantastic learning toy as young children will intuitively use problem solving and engineering skills to create moving masterpieces of spinning, colourful action! 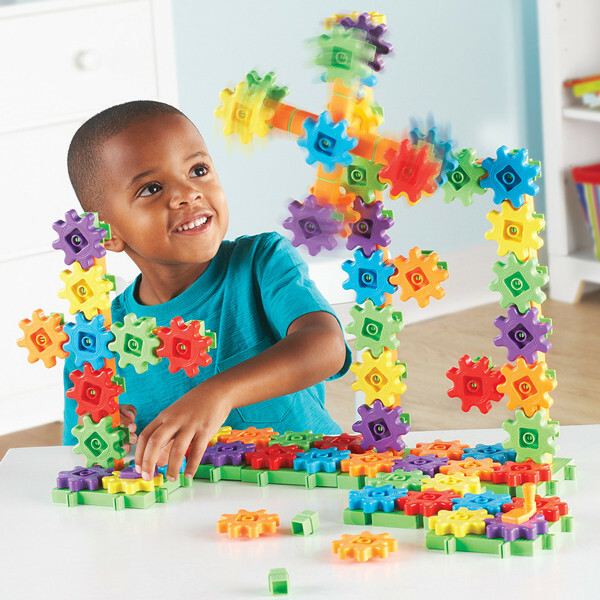 This play set features 150 plastic meshing gears, connectors and interlocking bases that offer hundreds of 3-dimensional construction possibilities, preventing boredom. Packaged in a giant storage tub with activity guide. "Wow my grandson loves the gears spends hours building, turning, joining making garages & tunnels for his car collection"
"My Pre Primary students love them."